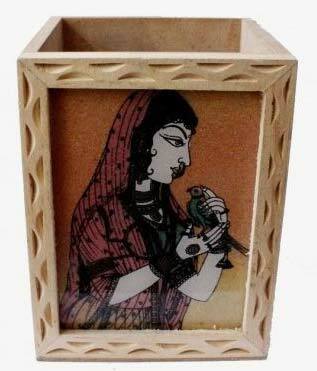 Based in Delhi, India, we are a known manufacturer, exporter and supplier of Wooden Pen Stand. We specialize in catering to the bulk orders of Wooden Pen Stand with utmost ease. We are very popular among our customers for variety in sizes and colors. The pen stand we supply is perfectly polished. Safe and timely delivery of the same is ensured with our advanced transit facilities. Moreover, we pay much attention for the complete satisfaction of our clients by paying attention to transparency, faith and respect to clients.